I am thinking of doing this trip from the UK with Dyane and combi camp trailer tent. 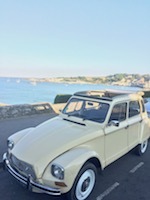 Obviously towing with the Dyane can be hard on steep hills ...any thoughts? Find some hills and practice. Is it a legal weight? Now I think about it, it will have already been tested. It should say on the body plate the maximum amount of weight you can tow. Find the plate, and then Google will be your friend to help you interpret it. You'll have no problems. My friend has an M4 Dyane and the same trailer tent setup if an M4 can handle it an M28 certainly will. 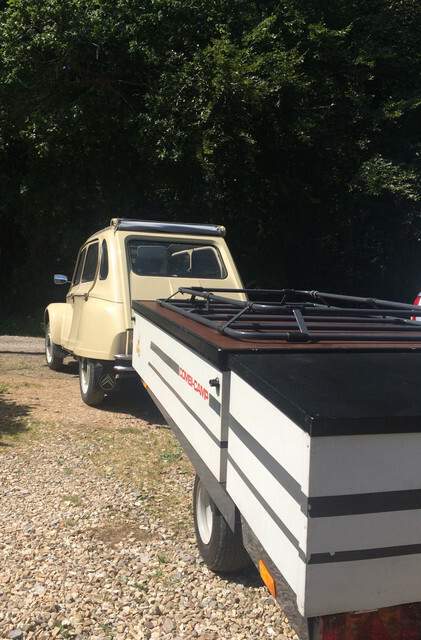 You see these trailer tents at 2cv meetings all the time. It's all legal and safe. I have been out and about testing the pulling of my trailer tent up very steep 20% Gradient hills..I had to drop to 1st gear..when I pulled away from a standing start it popped out..this is the second time its happened from a standing start on a very steep incline..any thoughts?